Elderberries are the fruit of the elderberry shrub, and they are rich in antioxidants known as anthocyanins. They are cultivated for medicinal and food purposes and are used to make jam, jelly, and tea, gummies, capsules, medicinal syrups, and lozenges. Most supplements use the black elder (Sambucus nigra), and the flowers of the European elder, known as elderflower, are used to make elderflower cordial or liqueur. It has been used as a herbal remedy for colds, flu, and sinus infections for hundreds of years, and studies have found that elderberry extract has strong virus-fighting, immune-stimulating, and anti-inflammatory effects. In another 2009 study published in the Online Journal of Pharmacology, H1N1 and avian flu patients were given four 175-milligram daily doses of elderberry extract, which led to dramatic improvement within 24 hours. Namely, within 24 hours, the muscle pain, headaches, fever, and nasal congestion of patients were greatly reduced. 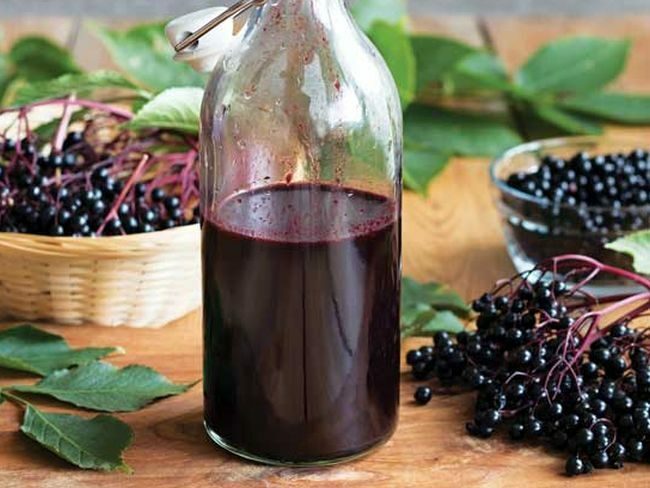 According to researchers, within 48 hours of treatment, about 90% of the elderberry extract treated patients did not experience any symptoms, or their symptoms were only mild.